New York Times bestselling author reveals the FBI’s most closely guarded secrets, with an insider look at the bureau’s inner workings and intelligence investigations. 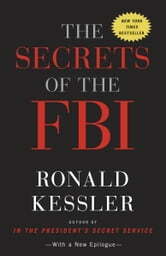 Based on inside access and hundreds of interviews with federal agents, the book presents an unprecedented, authoritative window on the FBI's unique role in American history. From White House scandals to celebrity deaths, from cult catastrophes to the investigations of terrorists, stalkers, Mafia figures, and spies, the FBI becomes involved in almost every aspect of American life. Kessler shares how the FBI caught spy Robert Hanssen in its midst as well as how the bureau breaks into homes, offices, and embassies to plant bugging devices without getting caught. With revelations about the raid on Osama bin Laden's compound, the recent Russian spy swap, Marilyn Monroe's death, Vince Foster’s suicide, and even J. Edgar Hoover, The Secrets of the FBI presents headline-making disclosures about the most important figures and events of our time. How Does Foster Care Work? I guess my expectation was a bit more. It was interesting, yet it still just seemed to fall flat.